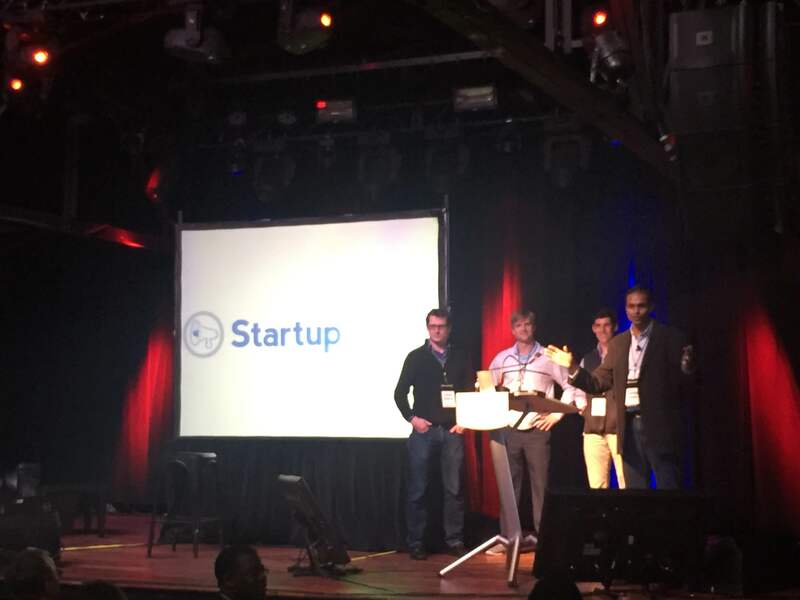 We participated in an amazing event called Startup Riot last week. In case you don’t know, Startup Riot features 30, 3-minute pitches from startups. After each pitch, you are asked a series of questions from a panel of 3 judges who vote on the top companies. The companies that participated in Startup Riot were great, check them out here. When the time came for Sanjay to announce the top 5 companies, we were hopeful, but given the quality of the other companies and the fact that none of the judges were golfers, we didn’t really expect to place. However, when they showed the top 5, we were on the list. To determine the top 3, the crowd had to text in their votes. After a few minutes of waiting, it was time to announce the top 3. Sanjay began with number 3, WatchMeWork, then he showed our logo on the screen and said that gottaGolf was second place. 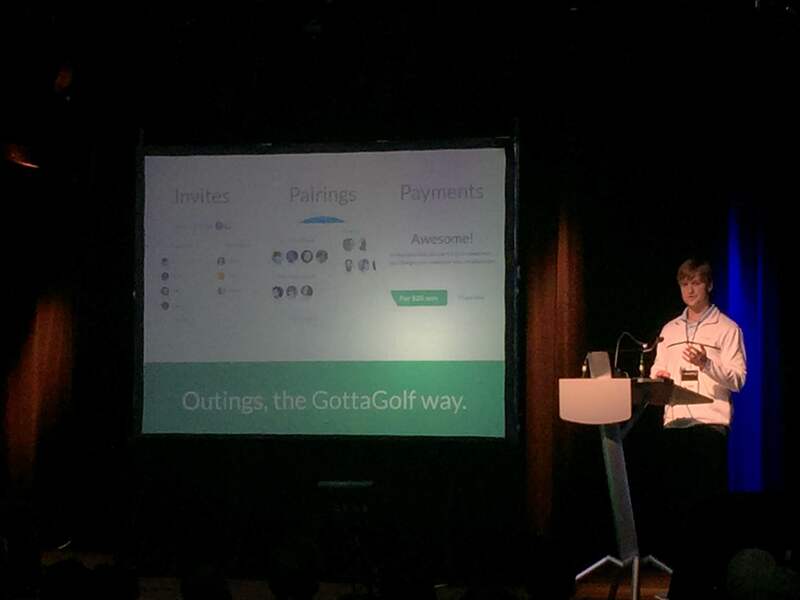 Placing in the top 3 meant that were we able to successfully convey the pain point and solution, to a bunch of non-golfers AND that we got a lot of cool prizes, including 20, 30-minute meetings with investors and successful entrepreneurs. Although finishing second and receiving a lot of cool prizes was great, it wasn’t the best part. The best part was the meeting so many interesting people. At events like Startup Riot, everyone is passionate about what they are working on, they have a look in their eyes that is full of life and excitement. Hearing about what everyone is working on and listening to stories from fellow entrepreneurs is encouraging, it’s always a bit of a “high” to be around so many like-minded people who are chasing their dreams. For anyone who hasn’t been to Startup Riot, I recommend you put in on your calendar for next year. I was impressed by all 30 companies that participated in Startup Riot. There are two companies I discovered that stick out in my mind… and one didn’t even participate in the event. Immortalia: Immortalia is an app that makes it easy to record your memories to be passed down for generations. It’s a very interesting concept. The idea of being able to know what my Dad or Grandpa were like at 25 is very intriguing. The question is – does Facebook already serve this purpose? Time will tell. The founder, Alex, was an IHG executive in his former life and something about him makes me think he will see continued success in the future one way or another. Principle: Principle is a company founded by Daniel Hooper. I met Daniel in line at the food trucks during lunch. He has a very interesting story, Daniel recently quit his job at Apple to move back to Atlanta and he’s trying to solve a real problem that we face all the time at gottaGolf. Principle enables designers to create interactive and animated prototypes of their app designs.